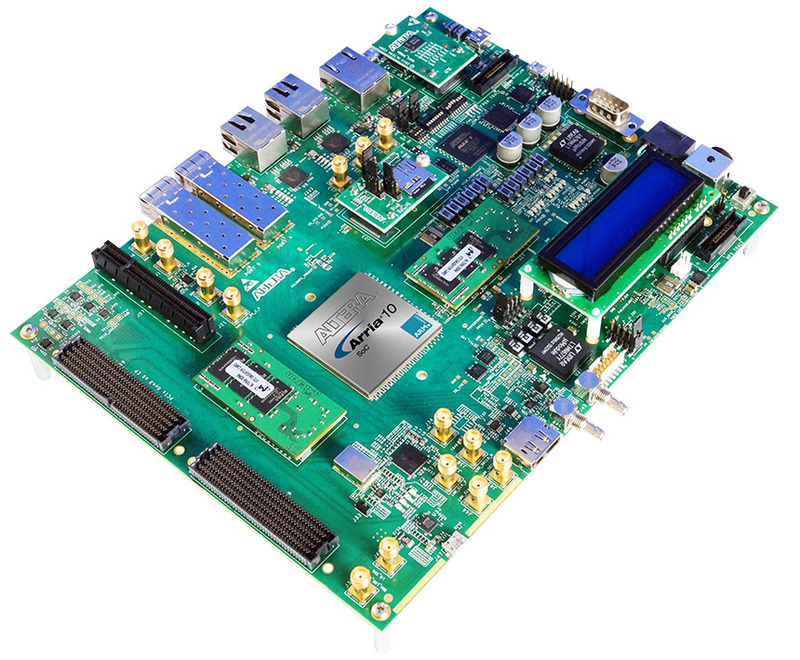 The Altera® Arria® 10 SoC Development Kit offers a quick and simple approach for developing custom ARM® processor-based SoC designs. Design productivity is one of the driving philosophies of the Arria 10 SoC architecture. The Arria 10 SoCs offers full software compatibility with previous generation SoCs, a broad ecosystem of ARM software and tools, and the enhanced FPGA and DSP hardware design flow.